We all keep secrets. Even from ourselves. A Book of Revelations explores the tipping point--when the truth offers liberation and continued self-deception perpetuates the status quo. -Private Quarters: A coming of age story. With cocktails. -Curtain Call: A spurned "mistress" crashes a memorial for her ex-lover's wife. -G tterd mmerung: The complex relationship between a maestro and his prot g .
-Convergence: An aging artist and would-be socialite hosts a disastrous dinner party. -The Honoree: A local saint's past unexpectedly threatens her future. -Last Chance: A gay detective investigates a murder case where nothing is at it seems. -The Midnight Suitor: A nephew unearths an old family secret--with a modern-day twist. -Even In Death: Mourners who are strangers "bond" at a charlatan's wake. 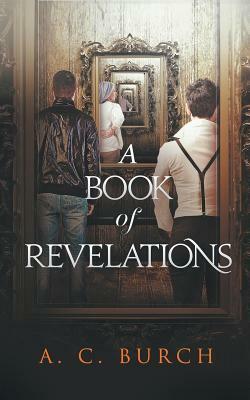 "A Book of Revelations delivers on its promise. It will surprise, sadden, delight, shock, and most likely bring you to tears more than once." GGR Reviews.